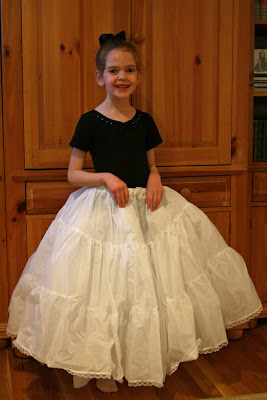 Princess is outgrowing most of her dressup clothes but definitely hasn't outgrown the desire to play dress-up yet. She has always been tall for her age and now, at age 6, is 51.5 inches tall--yes, she's a tall one! She is in kindergarten but looks as though she should be in third grade. The dress up clothes that fit her as a three year old no longer work. 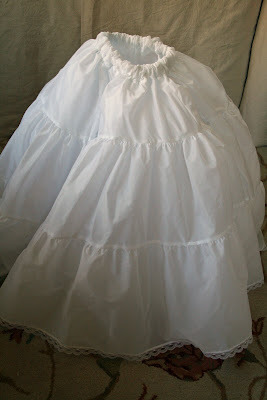 While browsing at a thrift shop, I came across a bridal slip on the rack and thought, with a bit of tweaking, it would be perfect for my little girl. 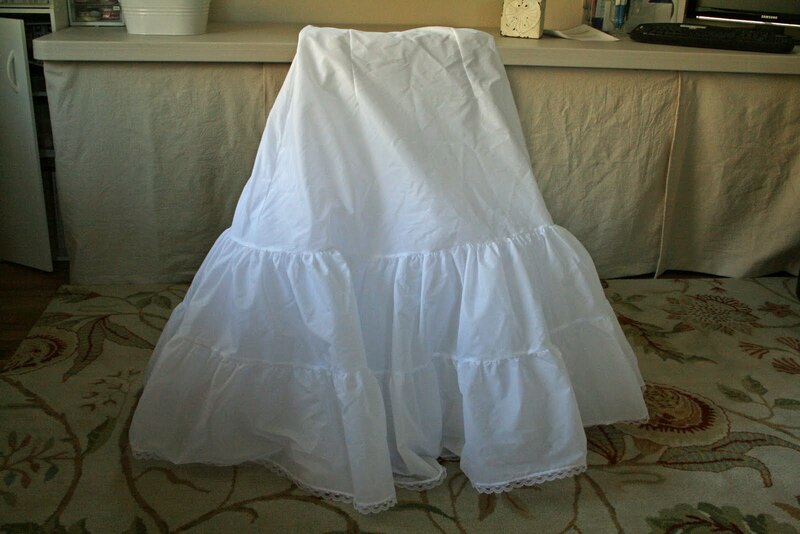 It had a small hole in the bottom tier of the skirt which made me happy because I was able to get the price knocked down even lower--I think I paid about $2 for this slip! I brought it home and, after washing it in the machine and letting it air dry, I cut off the top of the slip--this slip had an elastic band at the top and a long zipper. I cut it off just below the zipper. I didn't do a very good job cutting it at all! Nice jagged edge! I told you I didn't do a good job cutting it! My next step was to pin the inside and outside layers together. This stuff was slippery! 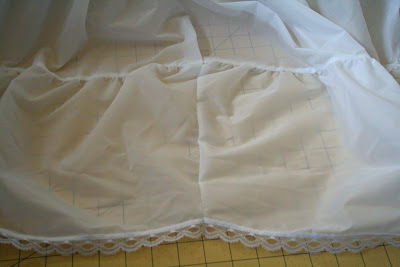 Then I used my sewing machine to sew a straight line around the edge to keep those layers together. 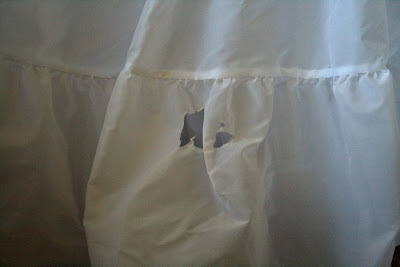 Next it was time to deal with that hole in the bottom tier. 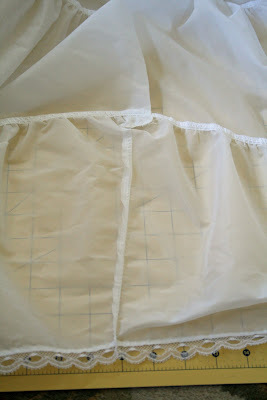 Then I stitched the opening closed and sewed over the little tab of extra fabric at the top. 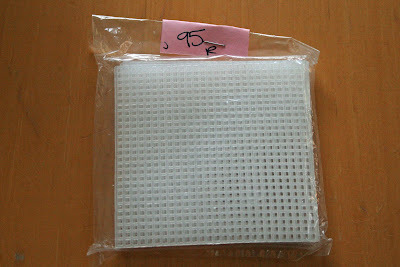 No more hole for my children to "accidentally" rip and make bigger...and bigger...and bigger... 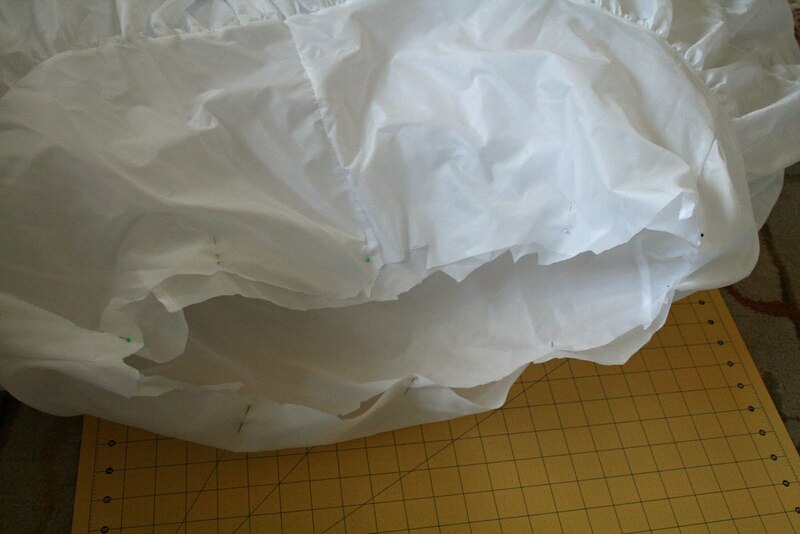 This extra line of stitching will get lost in all the pouf of the slip. My final step was to fold over the fabric at the top of the slip and make a spot for the elastic to go in. As I mentioned before, this fabric was slippery and I have no experience sewing or pinning this kind of stuff. I just folded it and sewed a straight line. 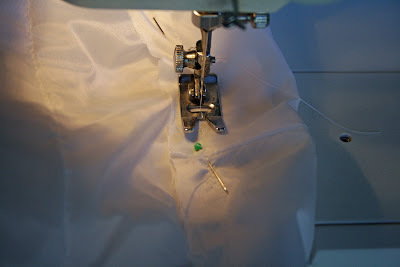 I left an opening for the elastic and threaded it through (I already knew my daughter's waist measurement from some skirts I made for her) and then sewed my loop of elastic shut and then sewed the opening shut. That was it! And that was it! 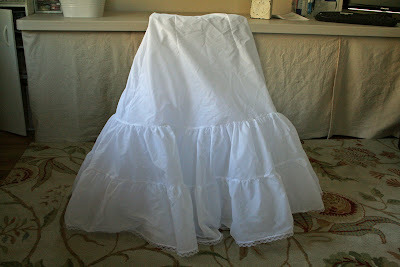 One bridal slip turned into an extra twirly dress-up skirt for a very excited little girl! Okay, let's try this post again! I had to delete it on Sunday after somebody posted a link to my site on another site and I started getting slammed with unwanted traffic. Those people did not have good intentions. Princess and I did this craft from Catholic Icing on Palm Sunday in preparation for Holy Week. 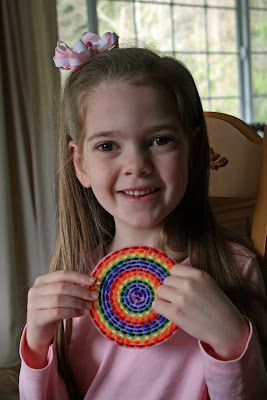 She had a wonderful time crafting with mama while her brother napped. 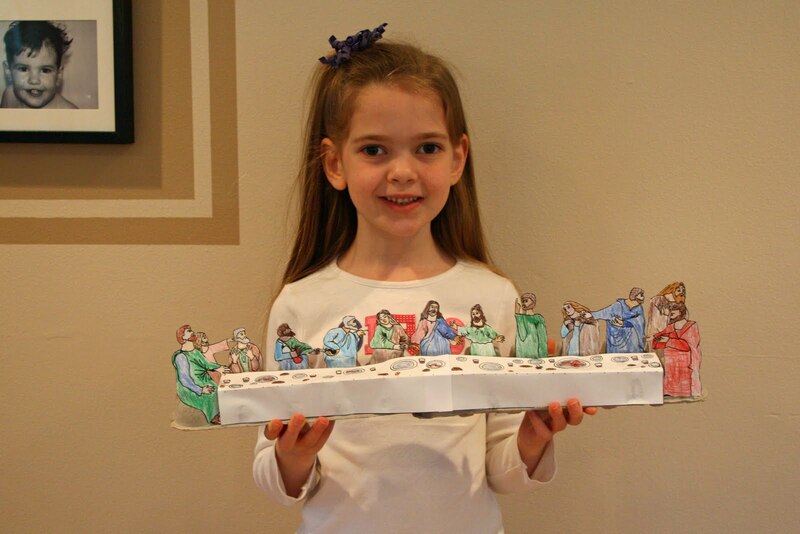 We talked about the disciples and she really enjoyed herself. She's bringing it to school on Thursday for kindergarten show-and-tell. Perfect timing for Holy Week! 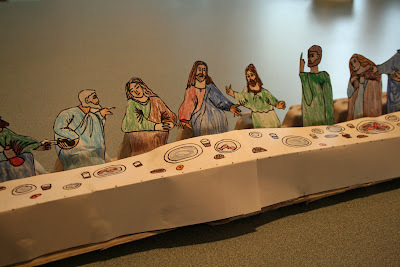 You'll have to visit Catholic Icing for the full instructions, but I can tell you that the only supplies needed are two egg cartons, printouts from the blog, glue, scissors, and something to color with. Princess did all the coloring and I did the cutting and gluing. 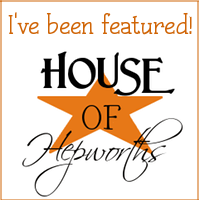 I'm so excited to be this week's featured blog at No Time for Flashcards! 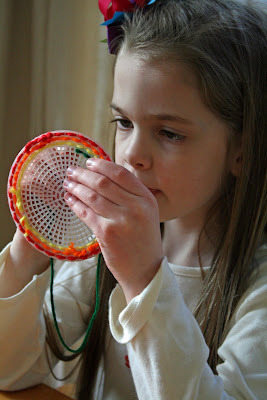 I love Allie's blog and my children and I love trying her craft projects and ideas. By the way, if any of you caught the Catholic crafting post that I put up a couple of hours ago and then deleted, I apologize for the inconvenience. I hope to post it again in a day or two. Unfortunately in the less than two hours it was up, it attracted some unwanted attention on a different blog, including a hurtful comment about my little girl. I couldn't figure out how to block that website, so I took the post down. Anyhow, now that I have that out of the way, look at how beautifully the necklace was packaged! 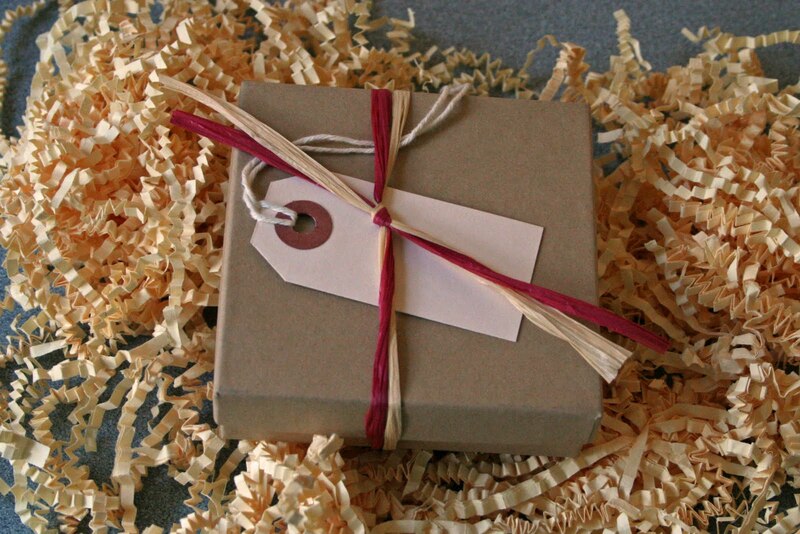 All that crinkly paper cushioned the box in the envelope and the box came ready for gift giving! It is even more beautiful than it looks in the picture. I really really REALLY love it. You know, just in case you couldn't tell. 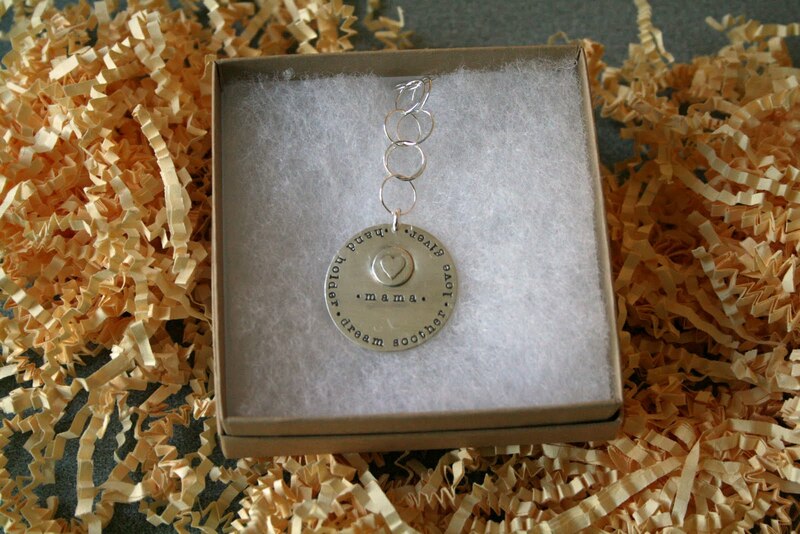 Now there are roughly ten kazillion more Lisa Leonard pieces I would love to have. I want to do family pictures this summer and I've already decided that this necklace MUST be included in the pictures. Nothing like selecting your jewelry before you figure out the clothing. Whoah, Nellie! 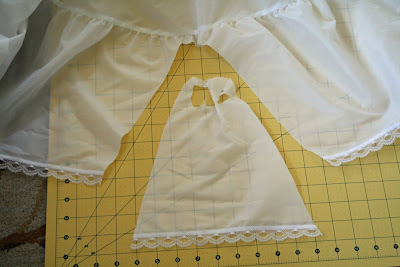 I am in the midst of, dare I say, TOO MANY PROJECTS! 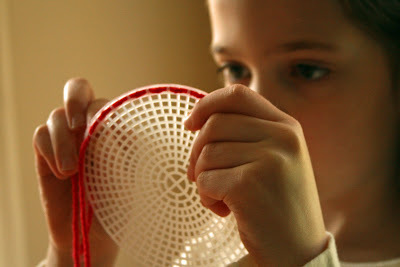 What kind of crafter are you? 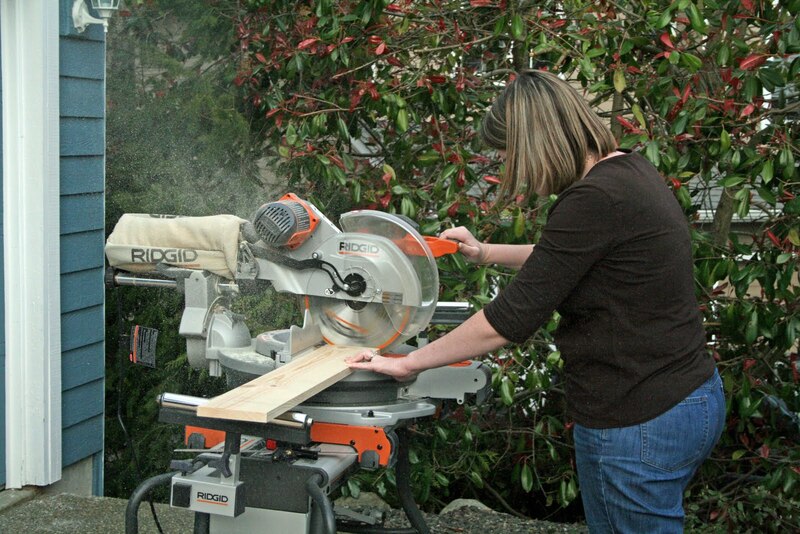 Do you do one project before the next, or do you have ten bajillion of them going at the same time. 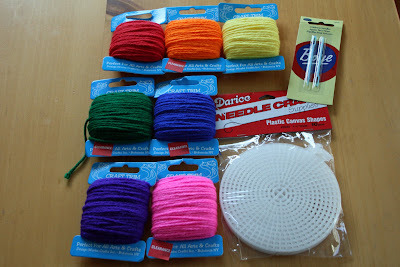 It is feeling a bit chaotic around here--but I'm proud of myself, I went to JoAnn's AND Michael's today to return things and all I bought was one dowel at JoAnn's. I didn't allow myself to browse at all because I don't need any temptation to start new projects right now! 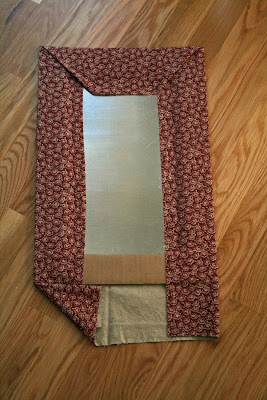 This project is SO close to being done...I just need to find the right photographs and hang it up. 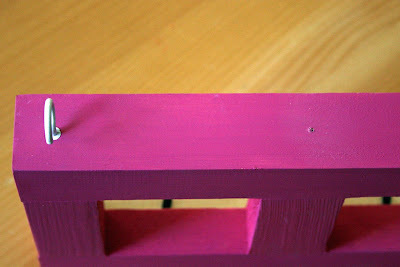 Except I might repaint it (again) first. Hmmm. This project actually is done and hanging on the wall, but I have so many unfinished things piled in front of it that I can't take a picture. Or at least not a picture that will actually show you THIS project and not all my other unfinished stuff. This one is done too--but in the same vicinity as the one above and thus also partially obscured by STUFF. This one is so close to being done. So close. 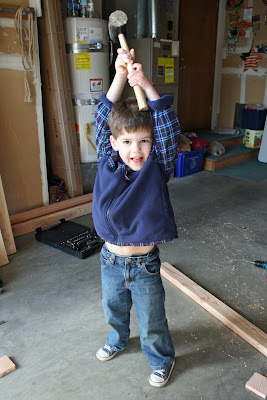 But my little guy has been having fun playing with the pieces, so I've procrastinated finishing it up. This is the BEFORE picture of this unfinished project. I've been at a standstill on this one for six weeks (after first stripping off all those hideous flowers and leaves) because I'm not fortunate enough to have a Hobby Lobby anywhere nearby and thus can't find faux boxwood. Woe is me. 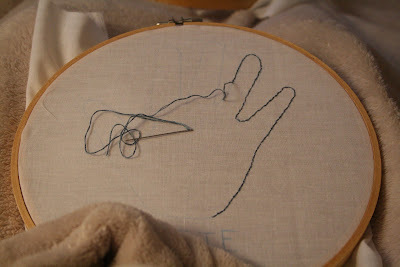 Haven't started this project. I do, however, have a sanding block, folded dropcloth, and can of spray paint sitting on my kitchen floor waiting for me to start...does that count? This is a BIG project involving our whole family. Let's just say Handsome is VERY excited about this one! And then of course there are these projects--my most important projects of all. Having the opportunity to help shape and form them is amazing and one that I am so blessed to have. I love these children so incredibly much. 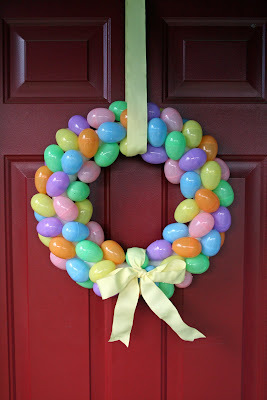 My children love plastic Easter eggs, so even though I would prefer a classy grapevine wreath with some nice speckled faux robin eggs and maybe some burlap ribbon...I wanted them to be excited about this, so I went for the cheap plastic Easter eggs. 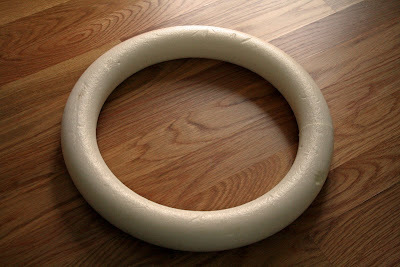 Read on to see how to make this inexpensive and easy wreath! 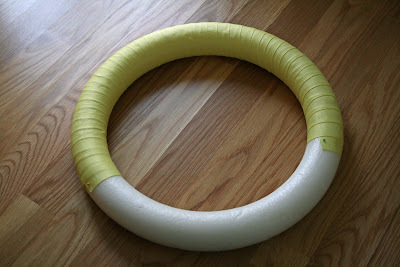 I bought this foam wreath at St. Vincent de Paul for 45 cents--woohoo! Then I covered it with ribbon from my stash...only to realize I didn't have enough of this yellow ribbon. I thought about covering the rest of it with orange ribbon, then I decided just to skip the ribbon altogether--so I removed all of this and left my wreath bare. 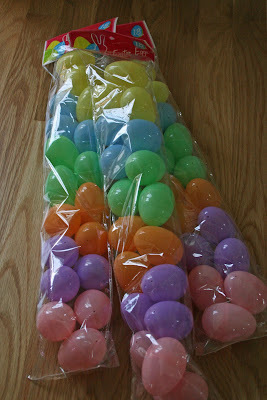 Next I gathered my eggs from Dollar Tree (I later went back and grabbed a fourth bag) and my glue gun and started gluing. I just smooshed them as close together as I could. Make sure the eggs don't pop open! 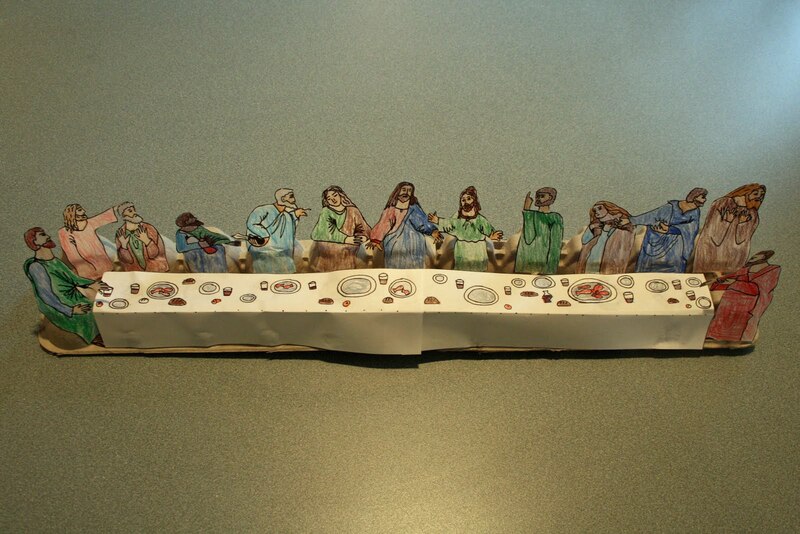 I didn't put any on the backside of my wreath, but I did do the inner and outer edges. 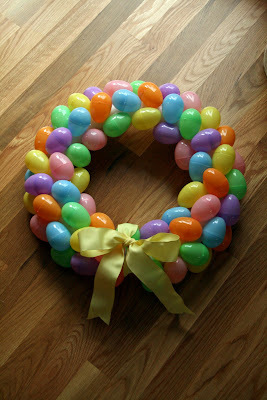 I used 3.5 packages of eggs, but that amount would vary based on the size of your foam wreath. I took some wired yellow ribbon from my stash and tied in around the bottom of the wreath and then tied a bow. I hot glued the loops of the bow down...and that was it. 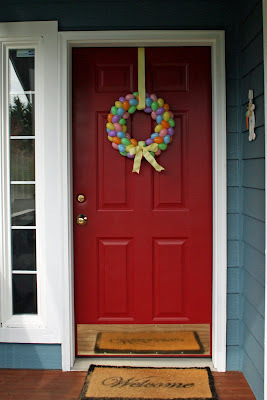 It looks so cute on my front door (I looped ribbon around the wreath and nailed the ribbon into the top edge of my front door--the flat part on the very top, not the front of the door) and my children are thrilled with it. 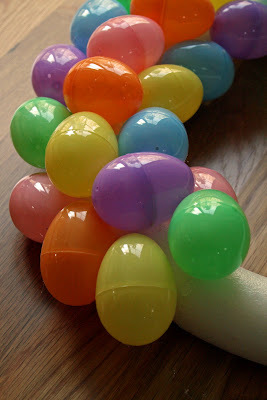 They told me it makes them get excited for Easter egg hunts! Not bad for less than $5! Have you made a similar wreath? I'd love to see it! I know one of my Facebook friends made a really similar one--hers has tulle on it instead of grograin ribbon though. 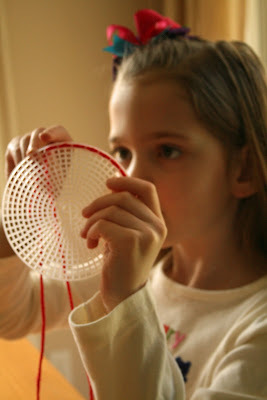 I love seeing how we can all use similar supplies and yet make projects our own! I'm linking up to DIY Day at ASPTL. Join in on Great Idea Day at Infarrantly Creative by clicking the button above. Lots of good ideas to be found! I'm sure some of you do this already, but I'm sharing it anyhow. 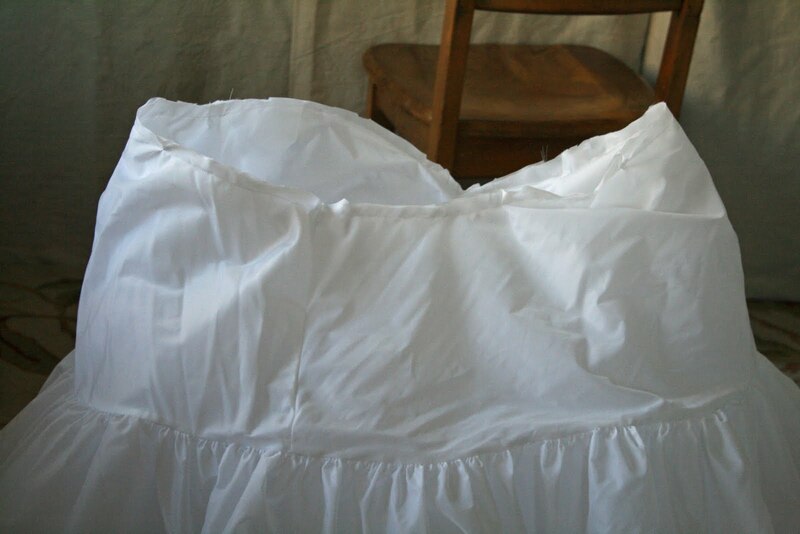 I keep one of these bags on top of the hamper in each child's room and put socks in them. I've been doing this since they were itty bitty babies (well, they were each well over ten pounds at birth...but that is as itty bitty as my babies get!) and it has worked so well to keep their socks together. I especially recommend it for those teeny tiny baby socks. 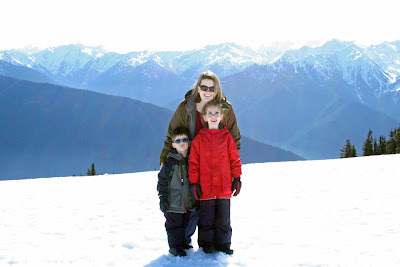 Now that my babies are four and six, it probably isn't quite as necessary as it once was. 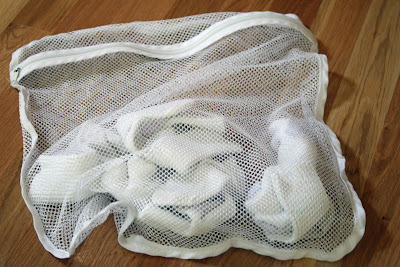 No more socks getting stuck inside shirts and getting "lost"! This idea is leftover from my student teaching days. I label every puzzle piece in this house. This way if/when they get dumped out, it is easy for the children (not me!) to put them back in the right boxes. 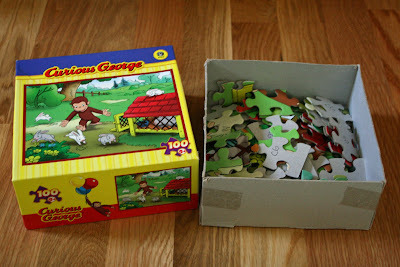 In this puzzle every piece has a "CG" on the back and then the inside of the lid AND the inside of the bottom also are labeled with a "CG". I try to give every puzzle a different letter or symbol. I love this stuff. 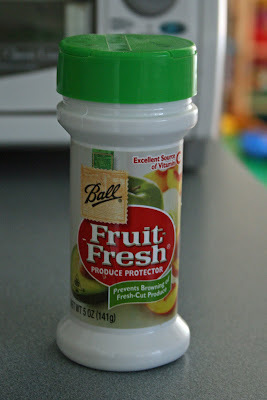 My daughter takes a cut apple with her every day to school and sprinkling this on the apple slices keeps them from browning. I've used this little bottle every school day since September and it still is going strong! I found it with the canning supplies in my local grocery store. It is by Bell and is called Fruit Fresh. Two enthusiastic thumbs up from me! Do you have great ideas to share? I'd love to hear them! I'm trying to bring a touch of spring into my house right now. 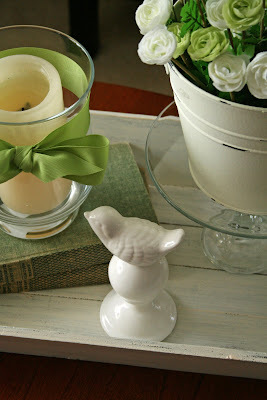 My inspiration is a beautiful little bowl I found at Goodwill in an apple green or lemongrass color. Very pretty and very springy! I'm trying to take myself out of my comfort zone (aka, same old, same old!) and try some new things with my decor. Lemongrass definitely is a new color for me, but I'm really liking it a lot. 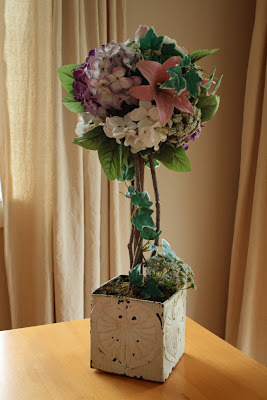 My inspiration for one of my recent projects is a faux flowerbox that Samster Mommy posted. I made the project my own, but she definitely planted the idea in my head. I started with this empty tin pot I had out in the garage--it is leftover from some beautiful potted tulip bulbs I bought myself at the beginning of February. 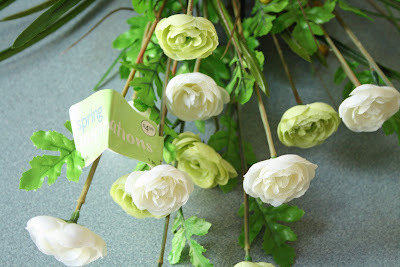 I bought these ranunculus at JoAnn's where they were, of course, 40% off. They're a spring item and not part of the regular floral stock. 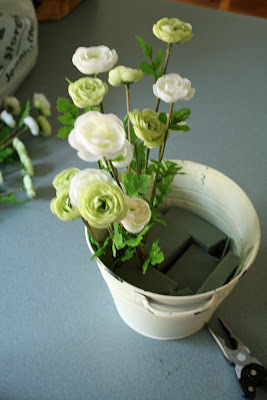 I bought floral foam at JoAnn's too and used a regular table knife to cut it into pieces that would fit into the bottom of my bucket. Then I used the wire snipping part on my husband's brand-new pliers to cut my flowers apart. I used only the blooms and skipped all the spiky and beaded things. Voila! 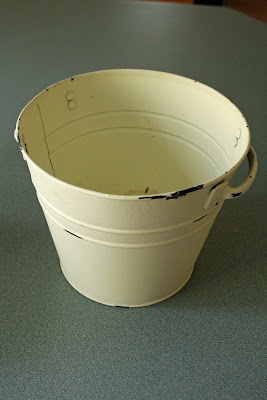 My new bucket of flowers! 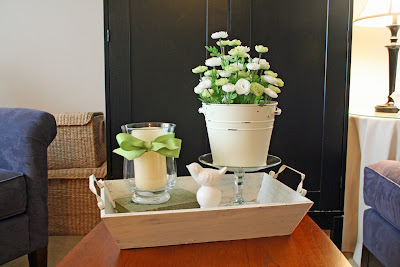 This vignette is sitting in my $5 Target tray from last year and the flower bucket is on the cake plate I made last March. My favorite things in this little display, however, are the books sitting under the glass hurricane. 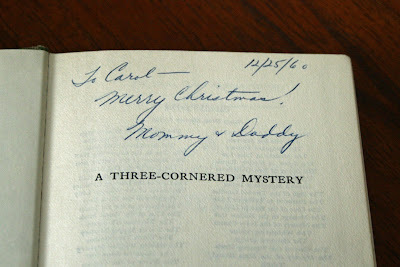 Those books were my aunt's books when she was a girl--I love books with inscriptions! My grandma gave out all the old books years and years ago and eventually ended up giving out books only to the offspring of the original owners of the books, but she apparently slipped a few extra into my pile of vintage Nancy Drew and Dana Girls books. I love them and can't believe they were a gift 50 years ago! This is another table in the same room. 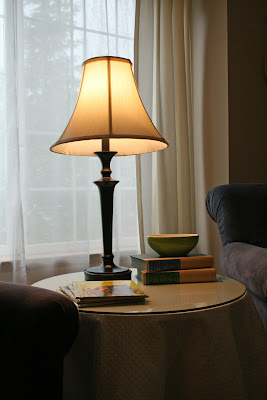 This arrangement still needs some tweaking--but that little bowl there is my inspiration for the room. 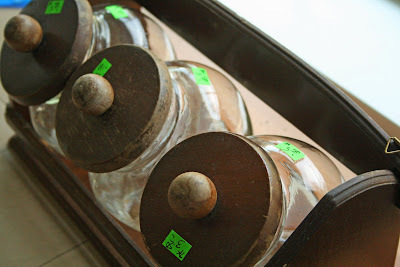 It is an ironstone bowl in the Emerald Isle color that I found at Goodwill--the only ironstone I have ever found there. 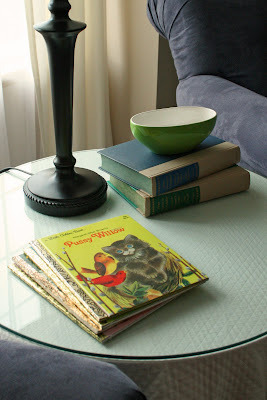 Also on this table are some spring themed books that I pulled from around the house. I love pulling books for my children and putting them out on display--it seems to pique their curiosity a bit and entice them to revisit old favorites. 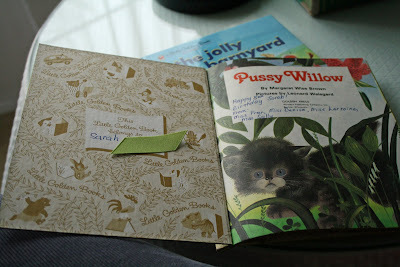 Speaking of inscriptions, this book was a gift to me on my 5th birthday by my preschool teachers. Love it! And here is the whole room, ready for spring. On the right side of the armoire you can see the table with the chalkboard that I talked about yesterday. And yes, this room usually is quite clean as it is the first room you see when you open the front door. 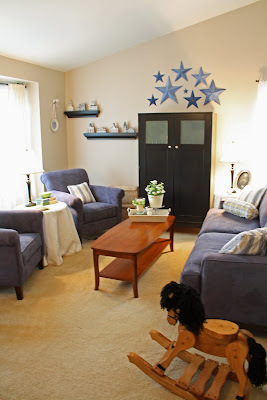 Our playroom (formally a dining room) is on the other side of the blue couch...which serves nicely to hide most of the mess on the floor back there!